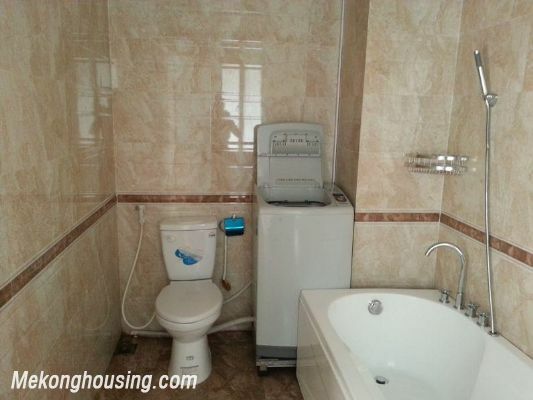 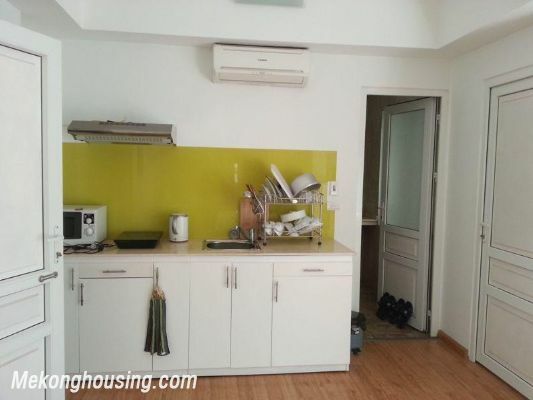 Nice serviced apartment for rent in Lang Ha street, Dong Da district, Hanoi. 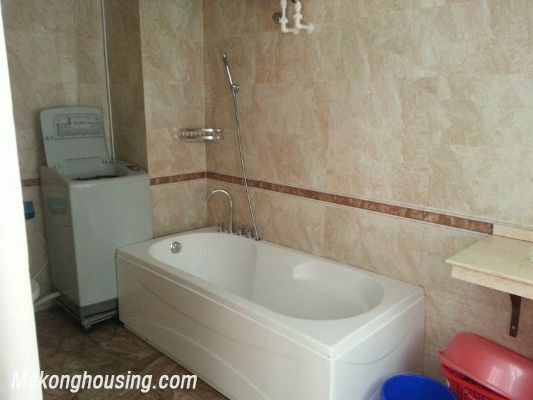 Total living area is 50 sqm and composed of 1 bedroom, a bathroom with bathtub, bright living room combined with open kitchen. 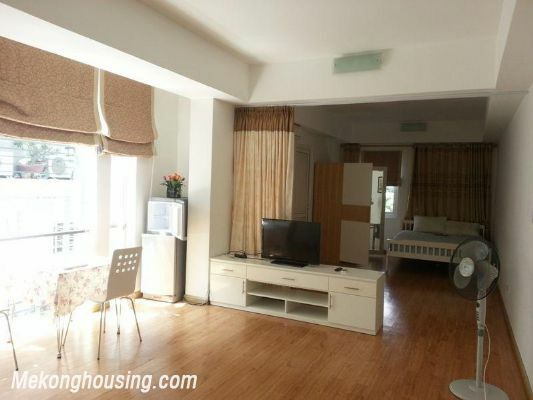 The serviced apartment is provided full furniture, wooden floor. 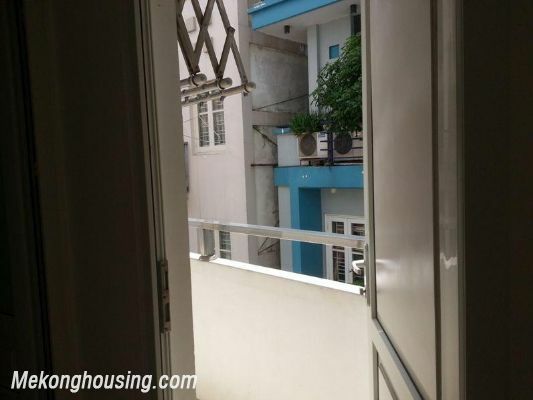 It has small balcony and belongs to building has reception , security 24/24 and elevator.